The country cottage, or farmhouse style, features the use of antique furniture and accessories found within a home on a farmstead or countryside. There are items that can be found at antique shops, shows, flea markets or online that you can make use of, it just takes time and patience to find the perfect pieces to compliment your design. But if you like some items and aspects of the country style but still want to have a modern, fresh look; then use some contemporary pieces with a few county-type accessories. But you need to remember that the key to designing a country cottage bedroom is simplicity along with a little resourcefulness and initiative. Characteristically casual and cozy, country decorating is all about comfort. Whether your home is a small country cottage or you just want it to feel like one, enjoy a cozy bedroom retreat when you mix calming pastels, pretty florals, and vintage accessories. The historical references and ideas are used as well. How about wall finish? It can be suggested in your room by using a decorative paint technique. This style is fun to create and will also compliment contemporary pieces for a more up-to-date look. Here are the 15 Country Cottage Bedroom Decorating Ideas that you can look into and perhaps draw on thoughts of redesigning your own room for a new look. 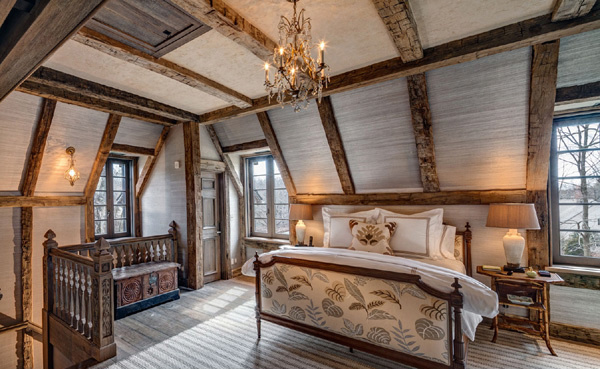 The raised ceiling with exposed beams and the four poster bed adds up the appeal of country cottage design. A headboard fashioned from an antique porch rail and a family heirloom “Hope Chest” make this bedroom as personal as it is beautiful. There is the cozy feel of warmth and serenity. 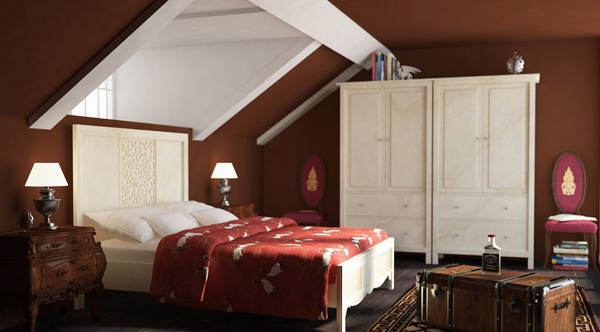 The painted wood is a classic characteristic of classic style. 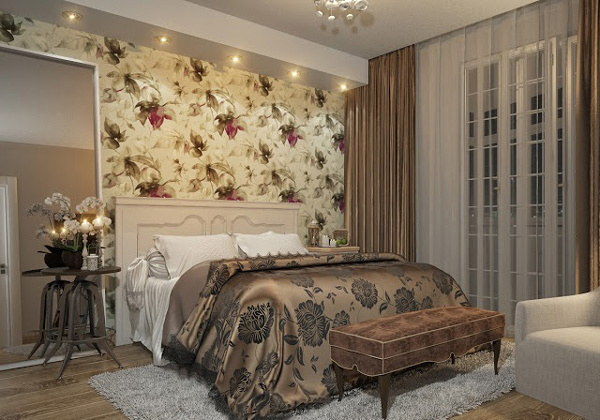 There is a modern mix of patterns from the curtains, bed and to the vivacious accentuated pillows, as well as the use of vintage furniture that provides the feeling of comfort and ease. The use of flamboyant floral design in beddings to curtains and even mat in the floor added up the atmosphere of tranquility and comfort. With antique rugs, lighting, textiles and the rare pieces of furniture, the room reaffirms with history. 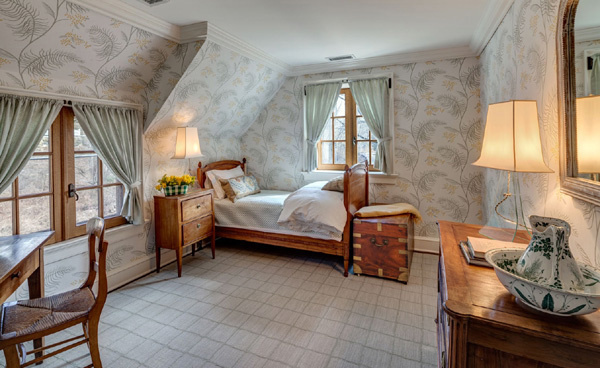 The floral accent used as wallpaper complements that of the bedding. This characterizes the elements of traditional pieces mix with new ones. The bed and the bench on this bedroom set off of traditional stance. The rich wood tones and simple furnishings create approachable, functional and comfortable experience. 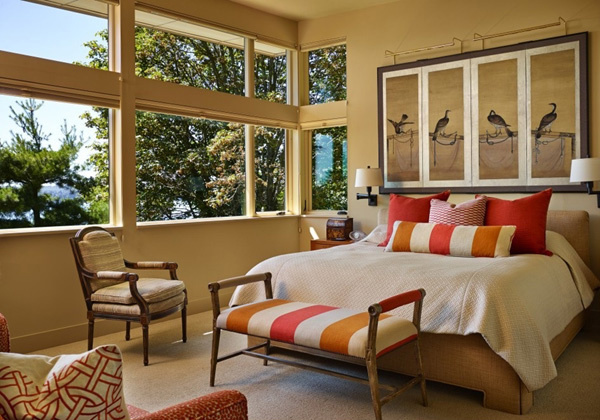 The chest box and vintage table use adds up appeal in this bedroom. 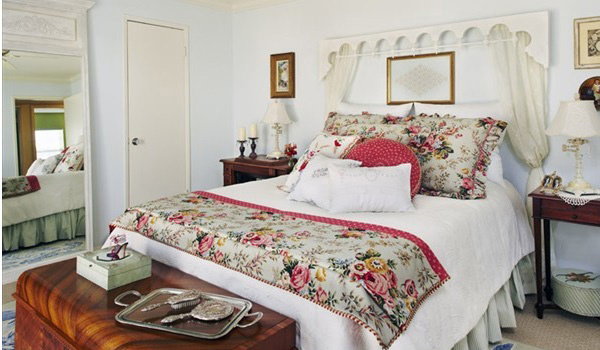 This country style room speaks of itself from top to bottom! The theme is simple and chic. It gives a vibrant and nature-feel like scheme. The vintage furniture and the wall paper used in this room are simple yet stylish. The balance of old and new brings together a mood of comfy and relaxing. If we have to browse back through the Country Cottage designs that we featured here, they are classy with a twist of traditional and modern approach. Some of the designers took inspiration from historic houses like that of David Adler. 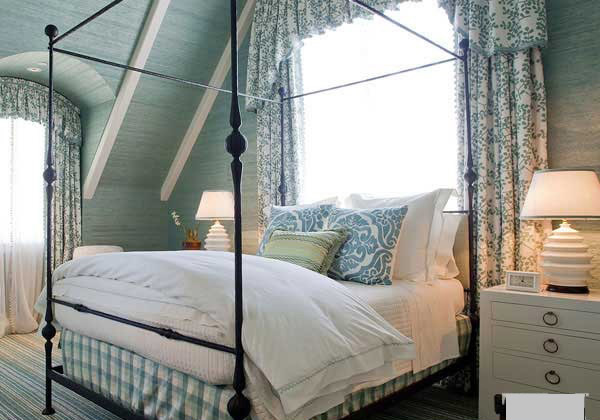 There’s nothing that makes us feel cozier than cottage-style rooms. 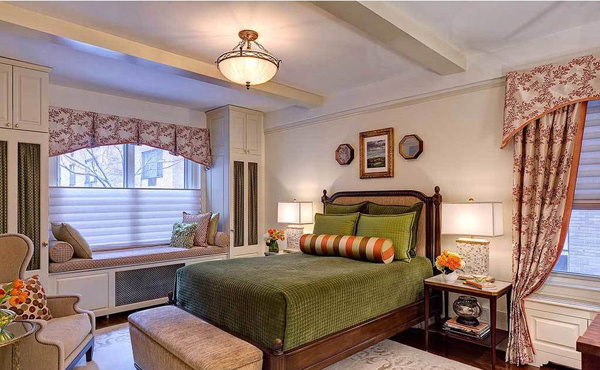 It is calming and cool for a wonderful bedroom design option in your home. 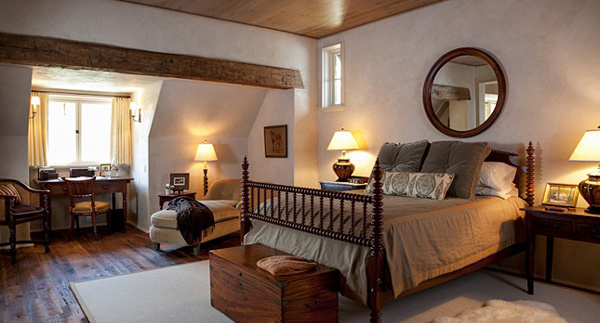 Beautiful, restful and the feel of countryside, it is how we describe country cottage bedrooms. Want to apply the design to other areas of the house? Look into a list of country cottage living rooms for inspiration.